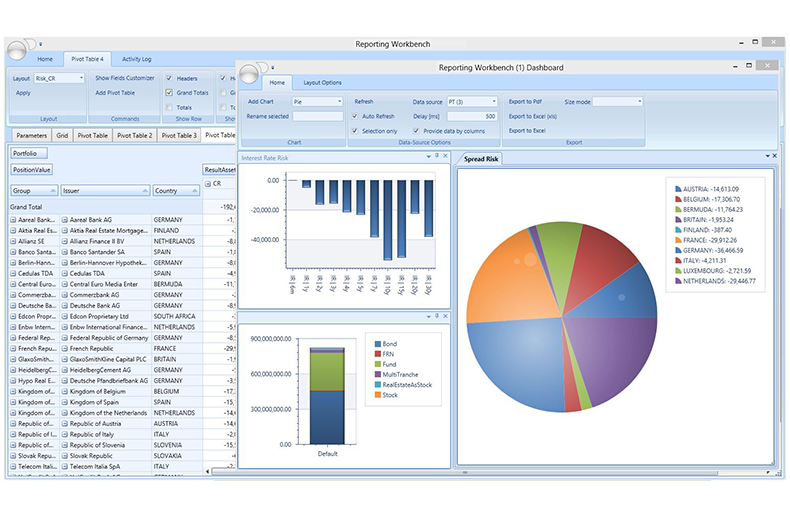 Aquantec Ocean offers a reporting workbench for integrated and aggregated views of profit & loss and risk results. With the help of dynamic queries, these figures can be easily combined with relevant product and market data in order to obtain flexible data sets for different audiences and purposes such as trading, accounting, and controlling. 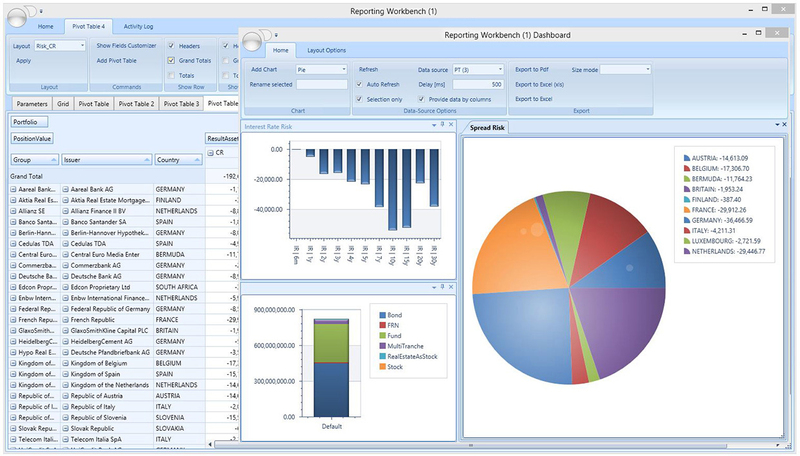 Visualizations of data sets are designed with the help of controls like grids and pivot tables. 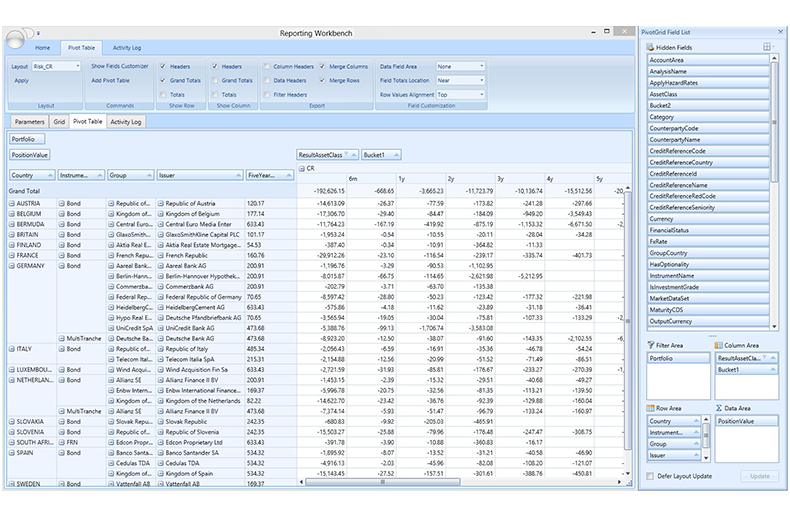 Pivot-table layouts can be interactively customized, saved, and applied. 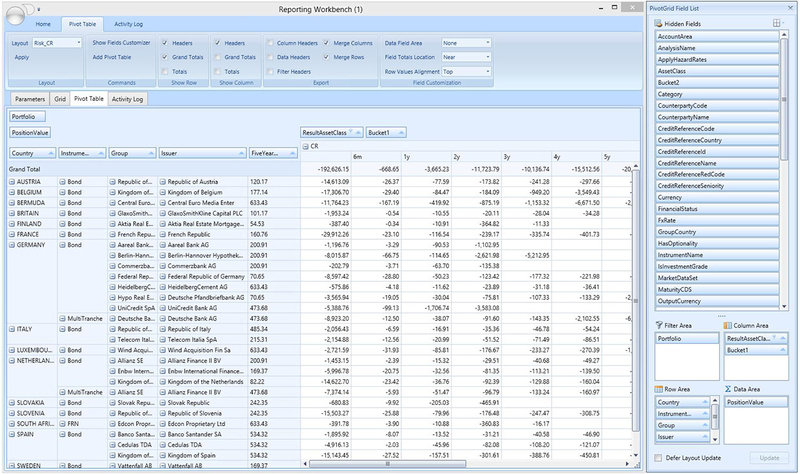 The resulting data views may be exported to text files or directly to Microsoft Excel. Based on predefined or customized templates, reports may automatically be generated with the help of the Aquantec Ocean batch client. Regulatory reports and meaningful management summaries can be manually constructed or embedded in automated periodical processes like overnight jobs.